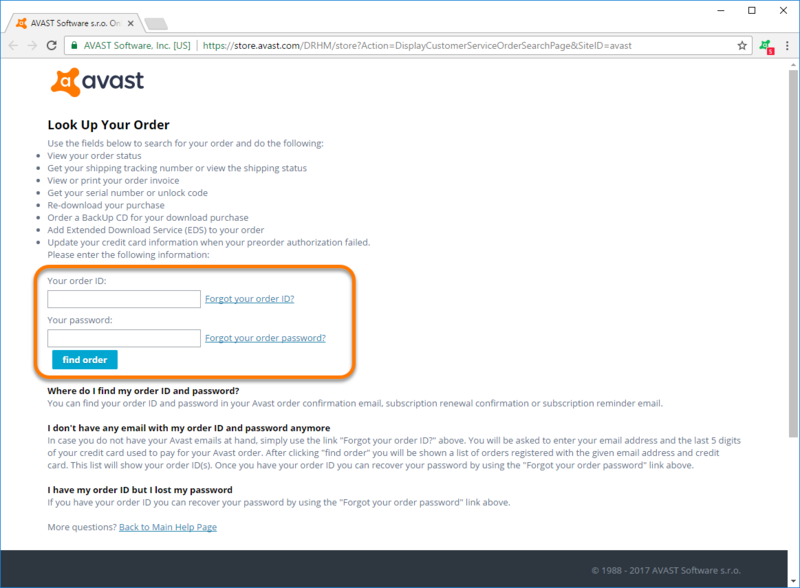 Avast customer portal: if you have access to your order confirmation email. 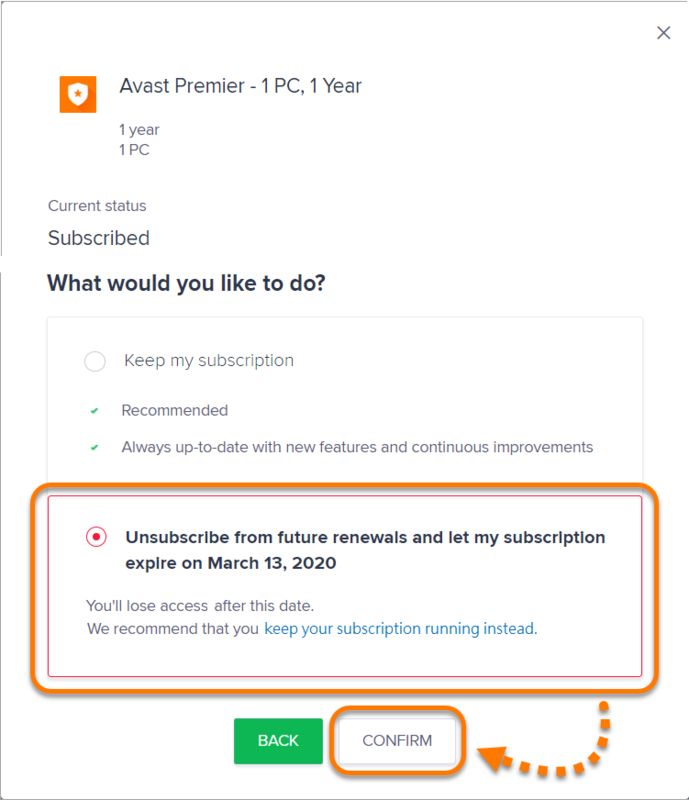 Avast Account: if your subscription is connected to an Avast Account. 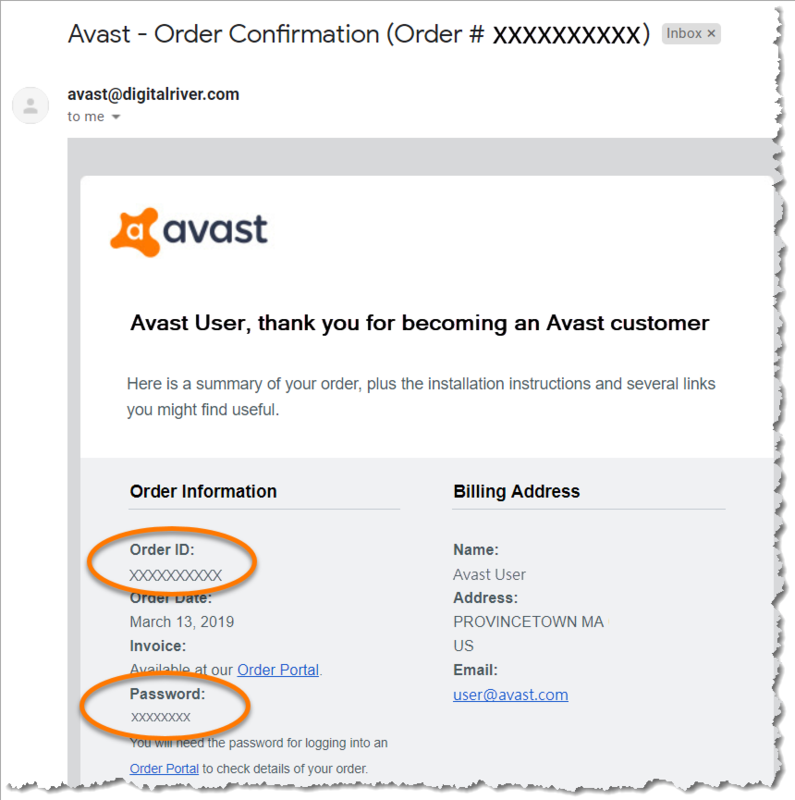 You can find your order ID and password in the order confirmation email from avast@digitalriver.com. If you are unable to locate this email, click Forgot your order ID? and provide your email address and the last four digits of the credit card you used to make the purchase. On the Your subscriptions page, click Unsubscribe next to the relevant subscription. Select Unsubscribe from future renewals and let my subscription expire on MM/DD/YYYY, then click Confirm. The renewal option is managed separately for each subscription. 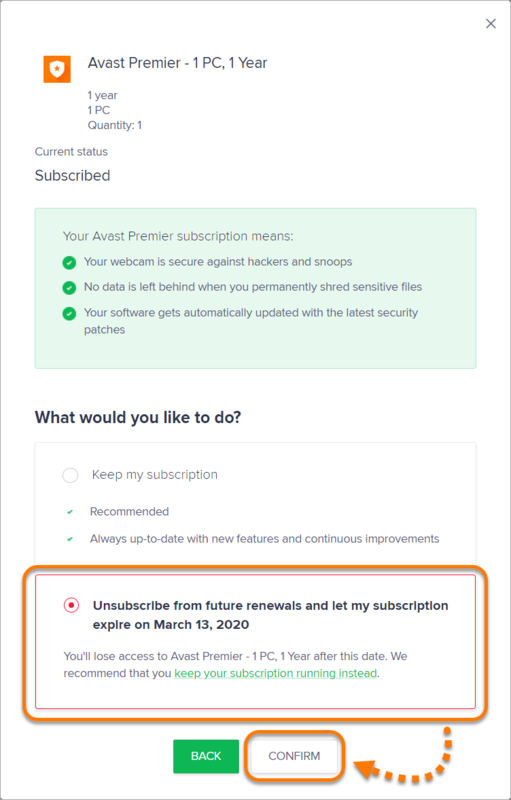 If you have more than one Avast subscription with automatic renewal enabled, repeat the steps above for each subscription you want to cancel this service for. Your auto-renewal subscription is now disabled. 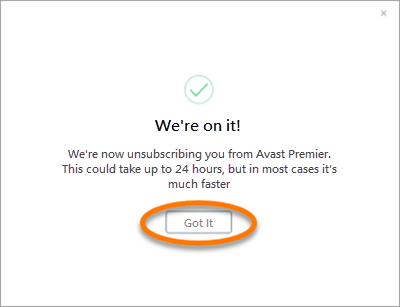 To open your current Avast subscriptions, follow the link below. If you are not already logged in to your Avast Account, enter your email address and password, then click Login. If you do not have an Avast Account, cancel your automatic renewal using the Avast customer portal. Click Unsubscribe under the relevant subscription.